Please Note Whilst in this version of the logger temperature alarms are fixed, and humidity alarms are not set, Lascar can also provide custom configurations of this logger where both temperature and humidity alarms are set to your specifications. Please contact our Sales Team if this is of interest. Did you know some wild caught fish varieties require different frozen storage conditions than their farm fishery counterparts. In response, we created a custom logger with specific alarm configurations and alarm delays based on its particular storage requirements. Is there a custom configuration we could create for you? We can customise even for quite small quantities, please contact us to discuss your requirements. 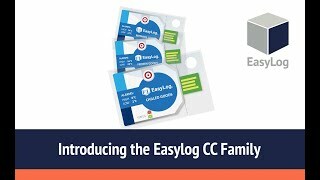 Set up and data download of the Cold Chain data loggers is enabled by our EasyLog Cold Chain software. Download the latest version from the link below. Is my CC-2 logger waterproof?